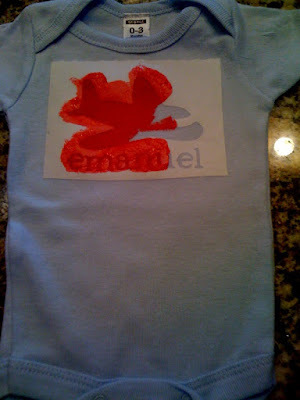 I have seen so many bloggers talk about freezer paper stenciling and have been wanting to try it. Sarah at Create Studio recently gave a great tutorial on how to do this, so I decided to give it a try...and I'm so glad I did! It was so much easier than I thought I'd be (largely due to using my Cricut, but still doable without) and I love the finished product. 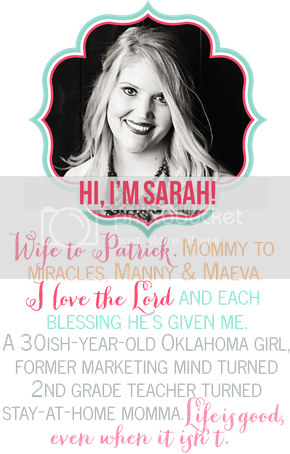 I'll give you the basic run-down here, but I recommend you check out Sarah's blog if you want detailed pictures, etc. 1. 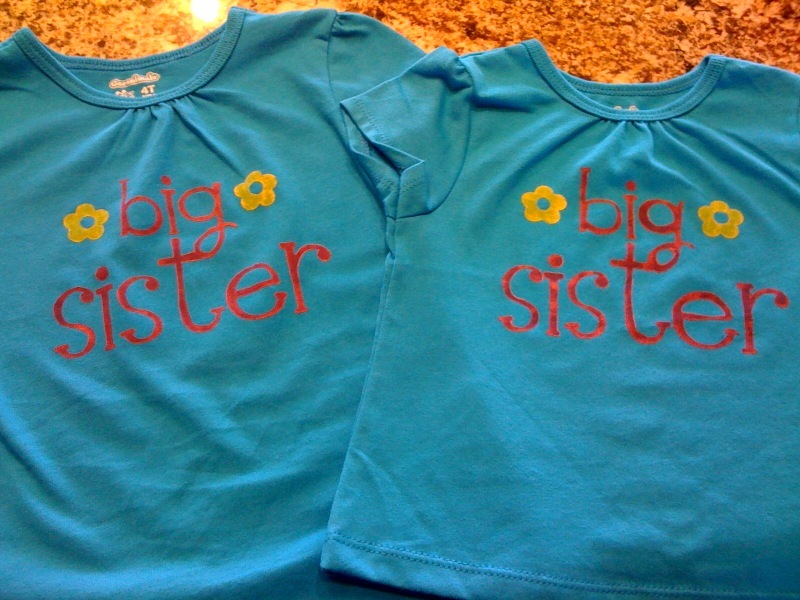 Decide on a design, and using freezing paper, either draw, print, or cut it with your Cricut. The important thing is to put the shiny side of the paper down, meaning if you print it, you want it printed on the dull side, and if you cut it with your Cricut, put the shiny side down on the sticky mat. If you do print or draw it, then use your exacto knife to cut out your design so you have a stencil. 2. Once your design is cut, place it shiny side down on the fabric you want to paint. Cut another piece of freezer paper the same size as your design and place it shiny side up on the back side of your fabric...this will prevent your design from bleeding through to other parts of the fabric. 3. Use a hot iron (no steam) to adhere the freezer paper to the fabric. It only takes a couple passes with the iron; don't leave it on there too long or it will bubble. I've read various recommendations for how long to keep the freezer paper on before removing it, from 1 hour to 24 hours. I think the main thing is to make sure your paint is completely dry. I left mine on for about 2 hours I think...I'm way too impatient to make it 24! Once you've removed the freezer paper, iron your design one last time to set it permanently. They also recommend to wash it inside out the first time, but then you can wash as normal going forward. What a great idea! You are so stinkin' creative!! And Rachel is preggo again?!? I hope it's a boy so Manuel will have a little boy cousin to play with!!! Both are precious, but I really love the the made in OK one! 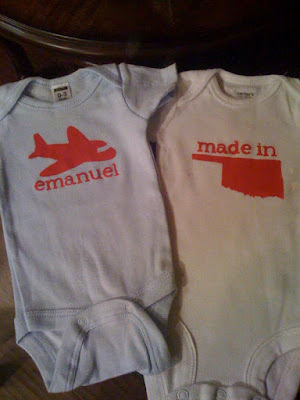 Love the "Made In" onesie. How cute! Adorable! I need to a gift for an upcoming baby shower. I may try this! Sarah, your projects turned out beautifully! I'm off to search your archives for more great ideas now! Thanks for the link!